Asana is a project management and tracking software that provides several useful views. Some projects makes more sense when users see them in a particular view. They can look at projects in a list view, in Timeline, in a calendar, or other views. 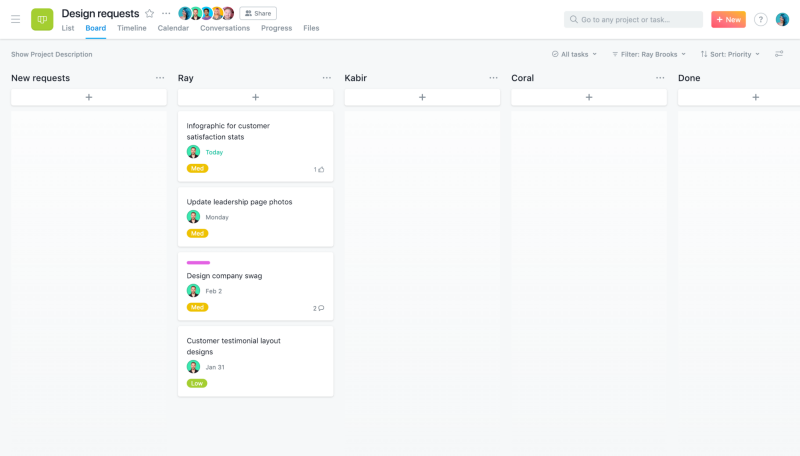 The Board view or board layout lets teams organize work like post-it notes that they can move across columns. 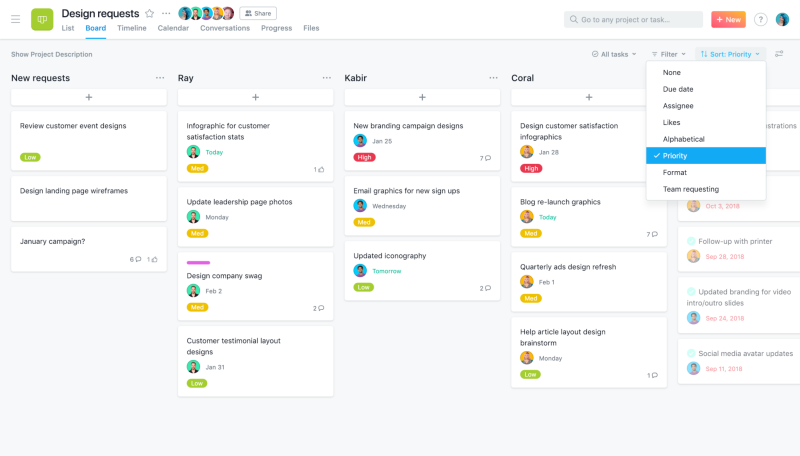 They can manage different kinds of work in this layout, such as creative requests, sprint planning, or candidate tracking. A few days ago, new features have become available. Users can now sort and filter tasks in their Board projects. For a powerful reporting and exporting tool for Asana, give our own tool Bridge24 for Asana a try. 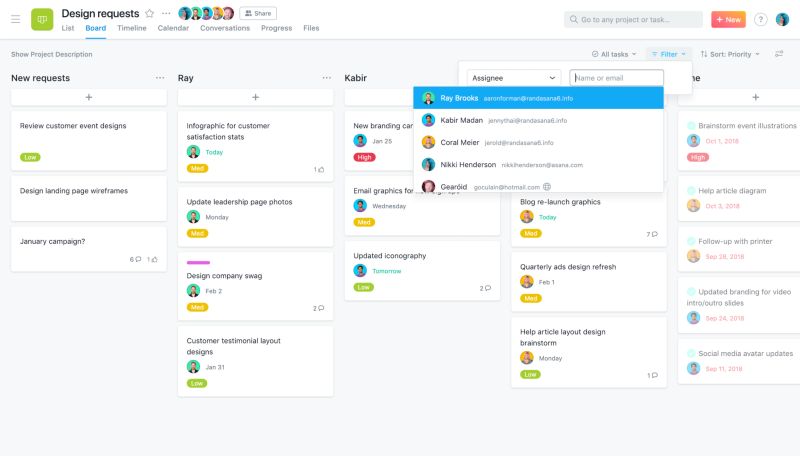 Board view in Asana give users a clean, visual overview of their projects. And it provides all the details just like in the list view. But as work progresses and the team continues to add tasks, the view can get crowded. With the new sorting and filtering features, each team member can find easily the information important to him or her. Users can now customize their views as they move their tasks through stages. At the same time, they can sort the tasks by assignee, and further filter by some other criteria, like custom fields. Using the new sorting and filtering features in Board view provides several benefits. The Board now looks less busy and crowded. Users can easily find the information that is important to them without requiring too much effort. They do not have to scroll through each column just to find the specific tasks they want to see. Also, they are able to look at the project in the way that is meaningful and insightful. It becomes more relevant in relation to the bigger picture. The latest Asana update allows users to do several actions for tasks in their Board projects. They can sort tasks by: assignee, custom field, due dates, likes, or alphabetically. They can then further filter tasks by: assignee, custom field (dropdown), or due date. Users can then save their custom view as the default for their project. Their teammates can do the same, so that everyone can keep their important work upfront as the project progresses and tasks are added and completed. Using the new sorting and filtering features in Boards is simple. When in Board view, users need to click the sort icon (up and down arrows) or filter icon (funnel lines). They are located in the top right area of the Board. After clicking, they can select from the context menu the sort order and filter criteria they want. Users can select to sort, or to filter, or to sort and filter. They can then click the ‘Save view for everyone’ button to set it as the default view for the team. Asana is continuing to add innovative features, so that users can work efficiently. By saving time on administering the project, they can spend more time on work that matters. Now, they can find information more quickly in Board view. To learn more about new board features and other product updates, visit also Asana on their Facebook, Twitter, LinkedIn or YouTube page.